The Syrian one thousand lira note, about $20, featuring Hafez al-Asad and “Free Syria” penned in over his face. Posted on the Syrian Revolution Facebook site. This article at Spaces in Public looks to Marjeh Square as one of the few spaces in the core of urban Damascus that has been the site of thwarted sit-ins and demonstrations. 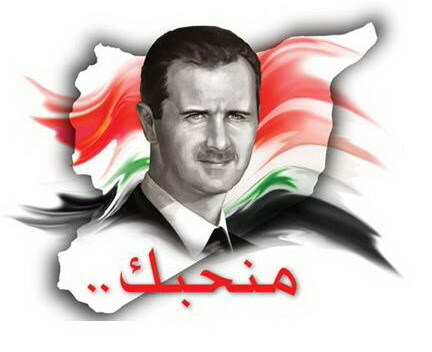 The ubiquitous visual representations of Asad’s cult of personality are becoming the targets of demonstrations in Syria. After over a month of demonstrations in numerous Syrian cities, the statues and posters that are a familiar aspect of every Syrian’s life are now being stripped down from their prominent locations in some central squares. Statue of Hafez al-Asad toppled in Rasta. A poster of Hafez al-Asad destroyed at the “Officer’s Club” in Homs. A of poster of Bashar al-Asad torn down at the center of Dera. 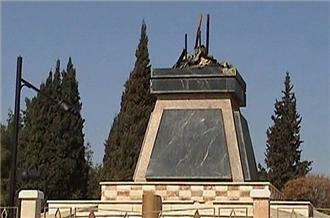 Bringing down a statue of Hafez al-Asad in Deraa. 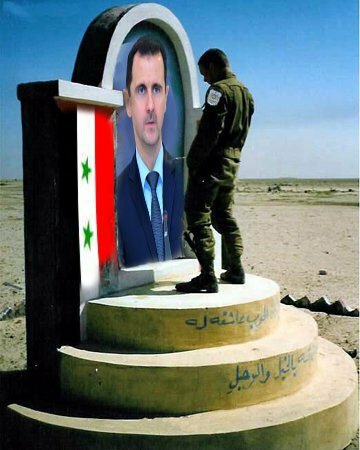 These powerful images show how the Asad cult of personality that has become embedded in Syria’s cities and towns can be torn down in seconds. 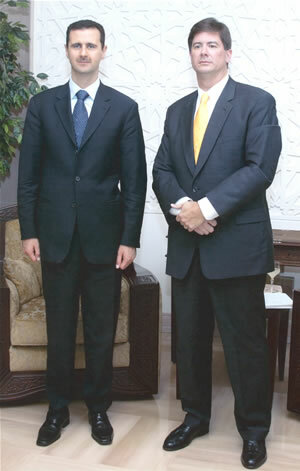 You are currently viewing the archives for March, 2011 at the news in arabic.